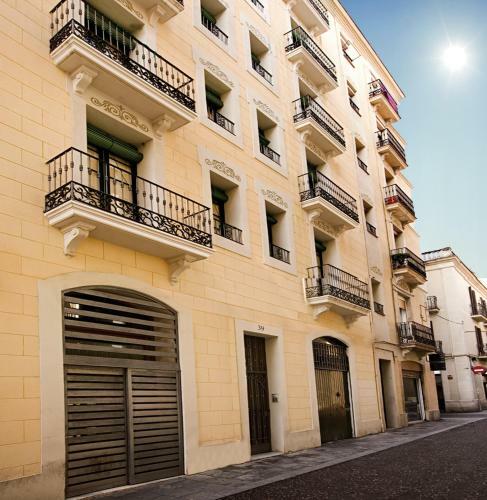 Offering a balcony and modern décor with original features, including wooden shutters and beamed ceilings, Dream Gracia Apartments is located just off charming Plaça de la Vila Square. Each air-conditioned 2-bedroom has a free Wi-Fi throughout and includes a double sofa bed, flat-screen TV, radio and dining table in the living room. The bathroom features a shower and hairdryer. 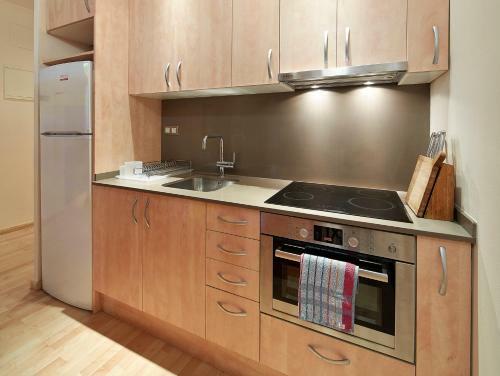 Modern kitchenette includes an oven, ceramic hob and washer-dryer. A wide range of bars and restaurants can be found within a 5-minute on foot. Sol Gracia Apartments are located in just 2 Metro stops from Plaça Catalunya Square. Gaudi’s La Pedrera is 750 metres from the property and Passeig de Gràcia Train Station is a 15-minute walk away. Please note that a surcharge of € 30 applies for arrivals after 21:00. For stays of 7 nights or longer, apartments are cleaned once a week. 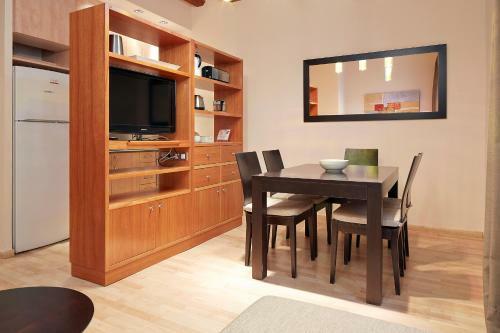 This air-conditioned apartment has a double bedroom and a single bedroom. There is a bathroom with a shower and hairdryer. It includes a double sofa bed, flat-screen TV, radio and dining table in the living room. The kitchen features an oven, microwave and washer-dryer. There is a balcony. Rate: € 150.00 ... € 205.00; select dates below to get current rates.